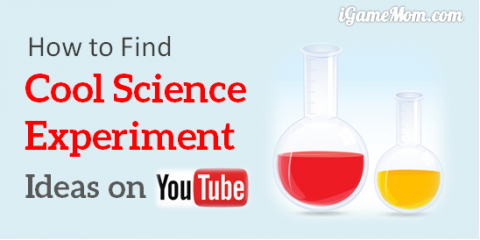 We love YouTube science videos. They make it easier to understand the hard science concepts. 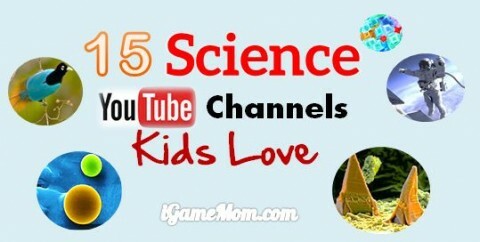 Not all science videos are great, so I listed out the good one I came across, like these YouTube Science Channels for Kids. 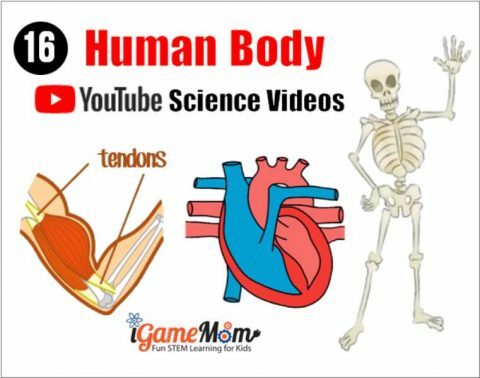 In this post, I list some great science videos about human body anatomy and physiology. I separate them by target age groups. Human Body Anatomy: with the help of a set of human body anatomy model, a young boy demonstrates the organs inside human body and how they fit together. It is neat for the kids to hear from someone close to their age. Skin Anatomy Song for Kids: the whole skin system is introduced with a song with animated pictures showing the skin structure. Both the song and the animated characters are just adorable. 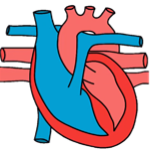 How Your Heart Works: this short video explains to young children why we need oxygen and how blood carries the oxygen and circulates through our body, and what the heart and the lung do in this system. There is no terminology beyond “heart”, “blood”, “vessel”. It is an easy introductory video for kids in kindergarten to grade 3, even 5. The Skeleton Song: it is a fun animated song great for kids of any age. It uses plain English to explain what the bones do and how they connect to each to support our body and to enable our moves. How Your Bones and Skeleton Work: a short video for kids to know what bone does, and the make-up of the skeleton system, led by two fun characters kids will love to hang out with. How Your Brain Works: from the same series of the bones and skeleton video, this one teaches kids about their brain. The same characters, Chloe and Nurb, teach kids the basics of human brain, such as the functions of left brain vs the right brain, how brain is connected to nerves and how it controls our body. The Lung Song: have you heard lungs sing? You will from this video. Throughout the song, kids learn lungs’ function and structure and how important they are to our body and our life. Human Body Systems: a good overview of human body, this YouTube video shows kids all the systems, from circulatory system to respiratory system, from digestive system to endocrine system, … It is a good overview video for kids. Digestive System: this fun cartoon teaches kids what happens to the food once they enter our body, and what are in the digestive system, as well as the functions of each organ. The Respiratory System: following the air coming into our body through our noses, this YouTube video shows kids how the air travels through the body, and what it does to human body, and what we can do to take care of the main organs in the respiratory system, like lungs. Muscular System: do you know we have over 600 pieces of muscles in our bodies? Do you know the differences between the muscles on your leg and those in your heart? This fun cartoon video not only teaches kids about the muscles in our body, but also how to grow and take care of the muscles. Our Brain: it teaches the major parts of the brain and each part’s main functions. It is a very high level introduction, so kids won’t feel overwhelmed. The Human Body Systems: an overview of all the systems in human body. It is a very brief summary of structures and functions of each system. Good to serve as a review video. How the heart actually pumps blood: this TedEd video focuses on the pumps in the heart and does a very good job in explaining how blood can only flow in one directs in heart. It is a great add to human anatomy class when you talk about circulatory system. Human Eye: shows kids the inside structure of human eyes and how do we see objects through our eyes. Cell Structure: although it is not about any organs in the body, it is about cells, the smallest living unit that build up human body. It explains the types of the cells, the structure of the cells. I am so impressed by the stunning visuals of the video. It makes it so much easier to understand the otherwise abstract concepts. How about YouTube Math? 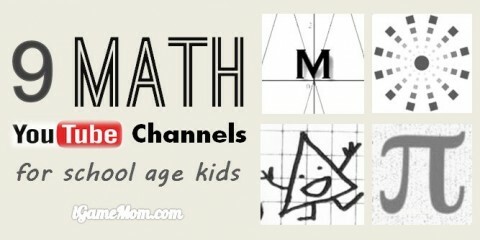 You will like these YouTube Math Channels for Kids too.